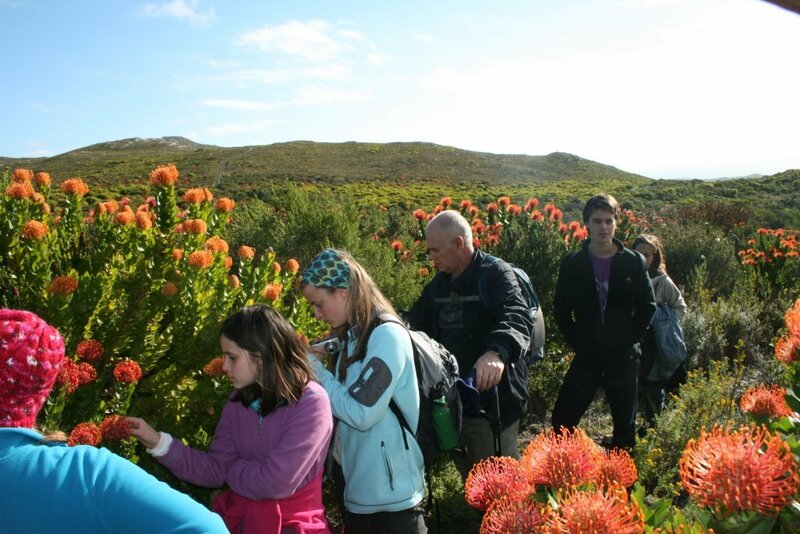 The Fynbos Trail runs through the breathtakingly beautiful Cape Floral Kingdom, which is a World Heritage Site, that is just waiting to be explored by you. 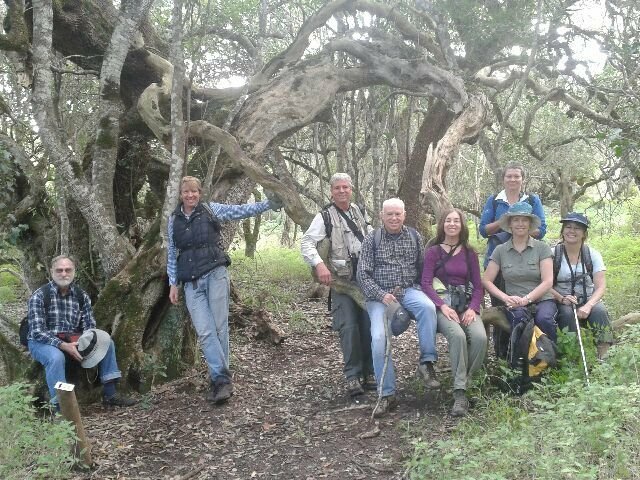 The trail weaves its way through magical forests as well as through blankets of more than 800 species of coastal and mountain Fynbos. 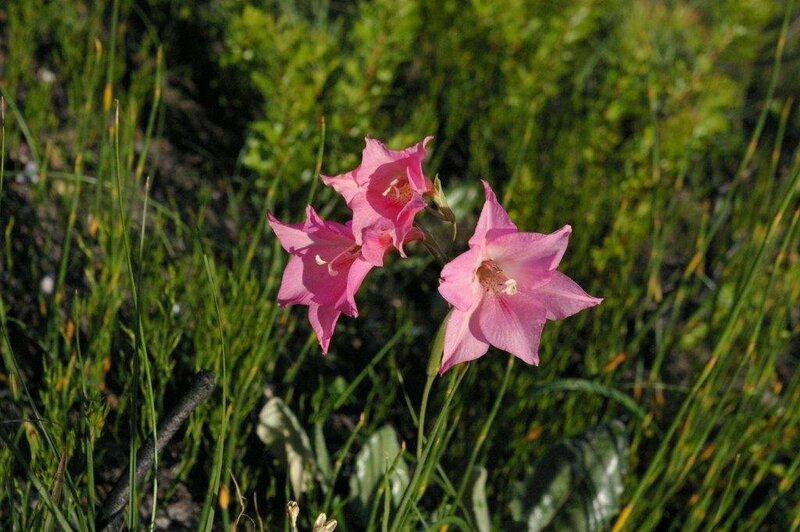 Embraced by an exquisite backdrop of mountain and sea, you will experience Cape flora and fauna at its exquisite best. 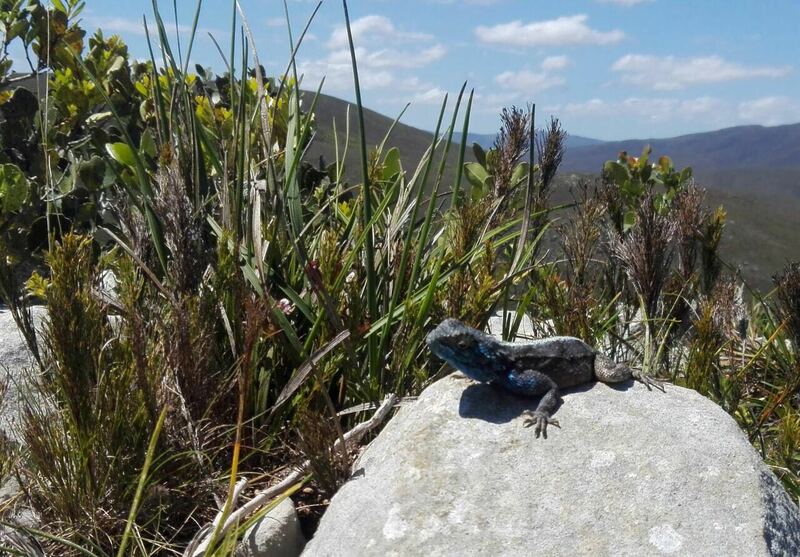 Here, nature’s tapestry is punctuated by gushing waterfalls and the cry of birds, native to this picturesque area in the Overberg. 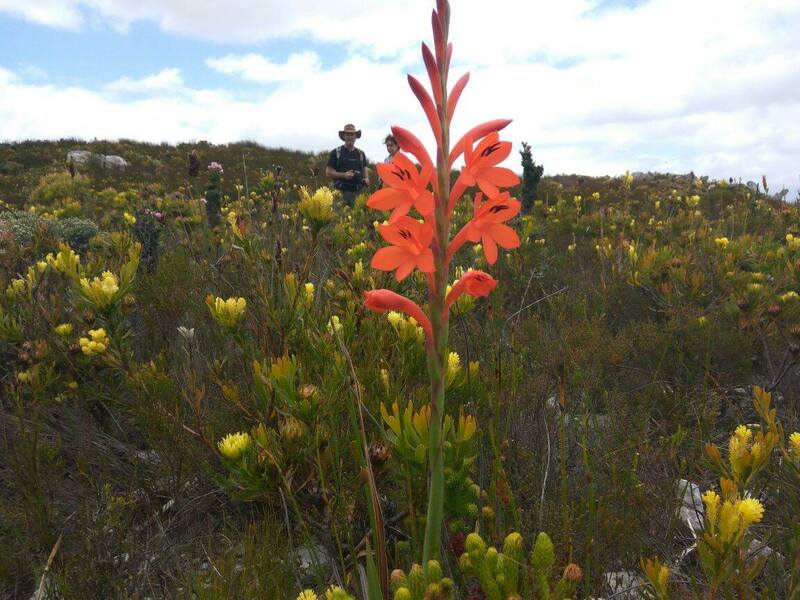 Click on ‘More Info’ below to find out more about The Fynbos Trail and what to expect. 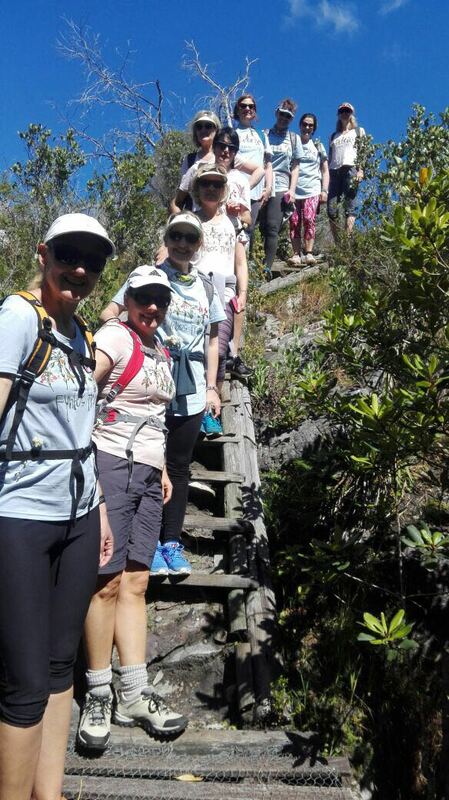 The Fynbos Trail began its meandre in 2001, envisioning a slackpacking hiking experience through the Walker Bay Fynbos Conservancy. 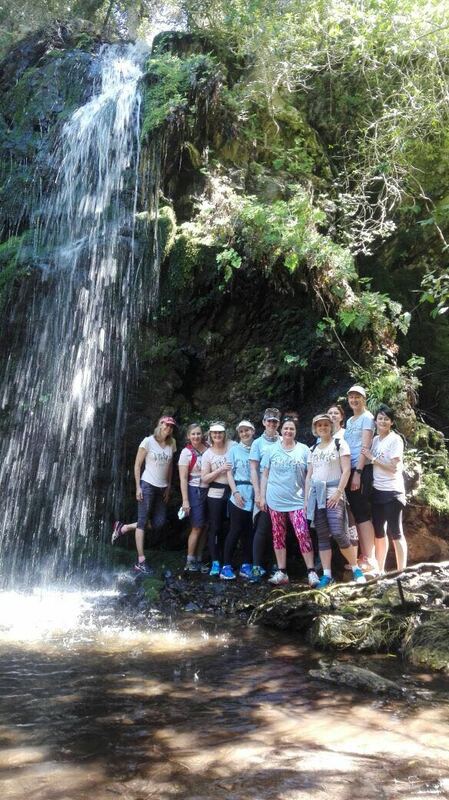 The trail crosses the Walker Bay Conservancy, Flower Valley Conservation Trust, Grootbos Foundation and the Lomond Wine Estate. 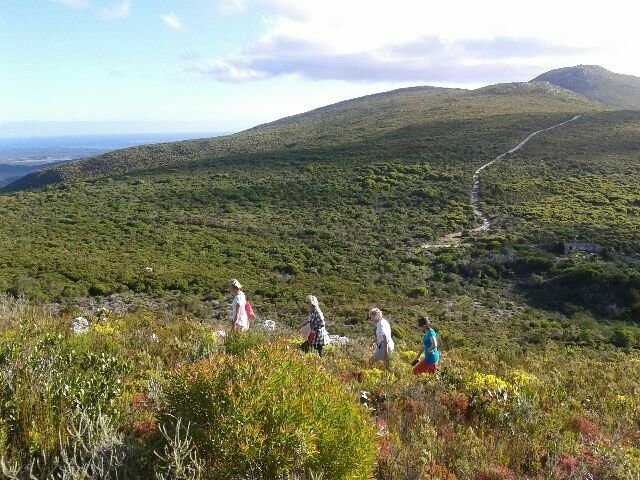 The Fynbos Trail covers 25 km (excluding the extra coastal route-add on). 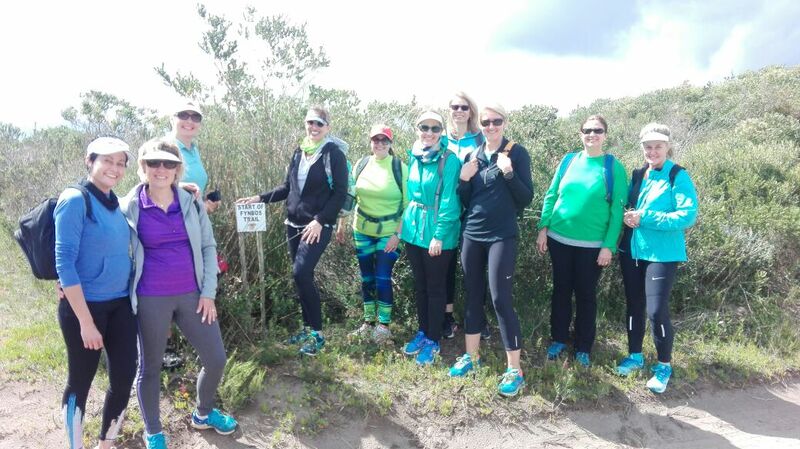 Be introduced to this paradise by an expert field guide who will chaperone you along the trail for for three highly educational days. 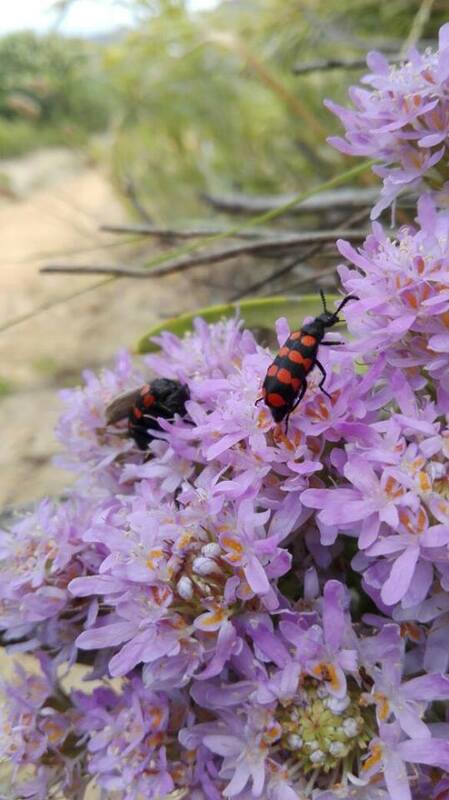 You will overnight at the fully equipped Fynbos Retreat and Witkrans, with delicious dinners, lunches and breakfasts prepared for you using locally sourced produce. Enjoy a tasting of locally produced Lomond wines while at Witkrans on your second night. 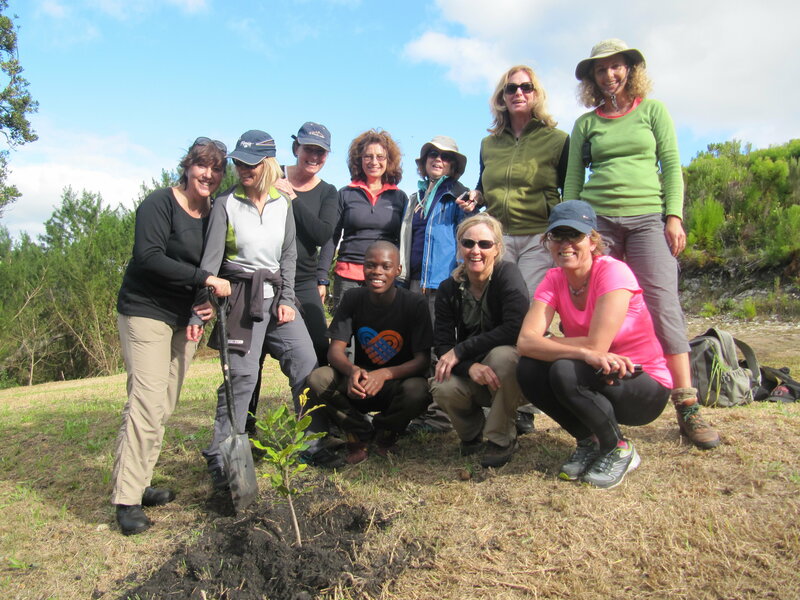 A memorable moment is created at the Stinkhoutsbos Forest where you will plant your very own GPS-marked indigenous tree. 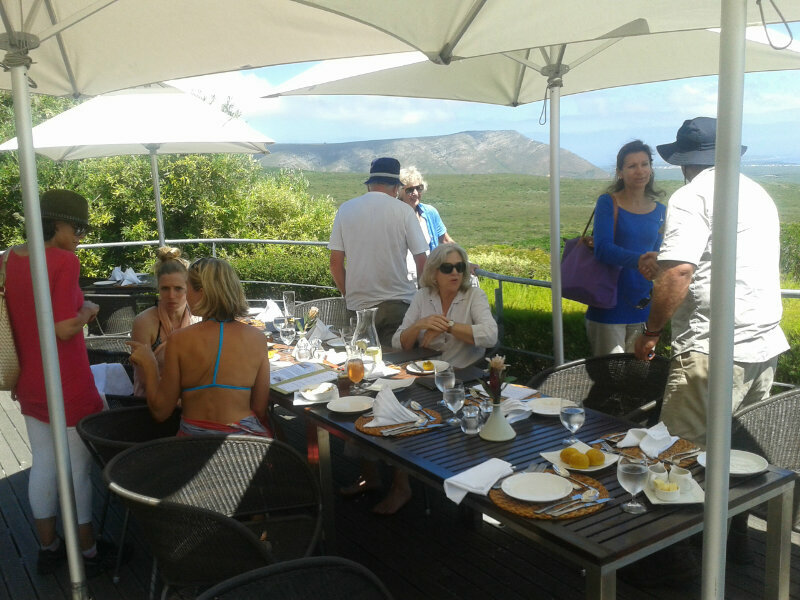 Your final lunch will be enjoyed at the superb five star Garden Lodge, at the internationally acclaimed Grootbos Nature Reserve. While some drinks are included, such as fruit juice with dinner, you are also welcome to bring along your own selection, which will be transported to your overnight accommodation and chilled, ready for your arrival. 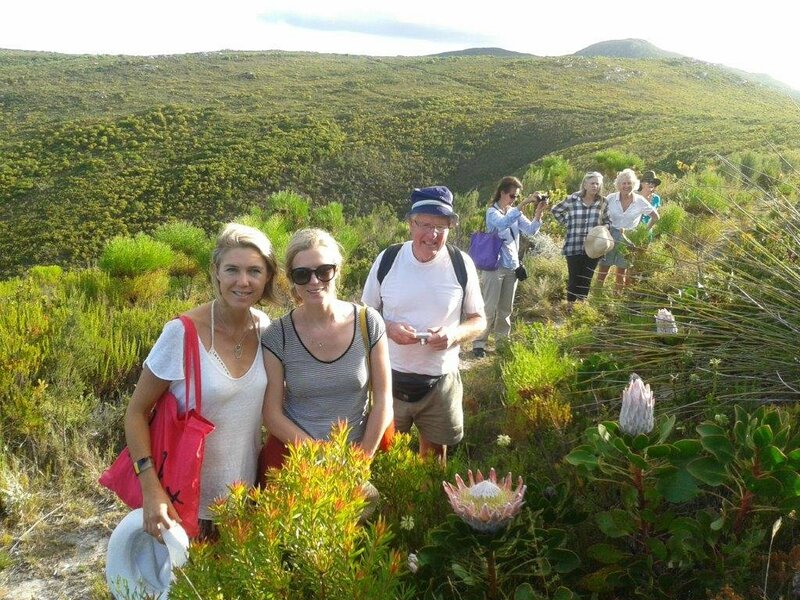 On completion of the trail, you will receive a fynbos gift to remind you of your adventure. All luggage transfers to and from the car are included. R3,250 per person over weekends (or including Friday and Saturday nights). R3,050 per person during the week (Sunday to Thursday night). Surcharge if there are less than four people: R600 per person (no less than two people). 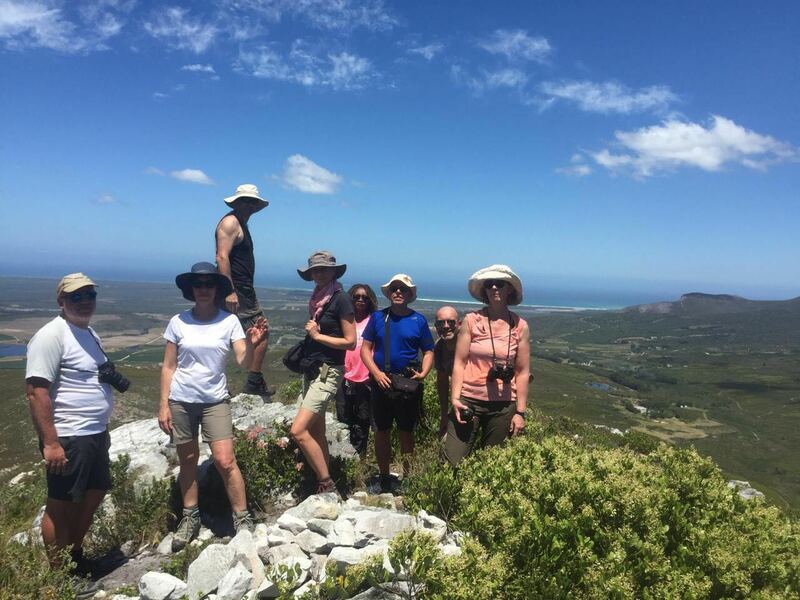 You will overnight at the fully equipped Fynbos Retreat and Witkrans with dinners, lunches and breakfasts prepared for you, using locally sourced produce. Your final lunch will be enjoyed at the superb five-star Garden Lodge, at the internationally acclaimed Grootbos Nature Reserve. Drinks are excluded, but you are welcome to bring along your own selection, which will be transported to your overnight accommodation and chilled, ready for your arrival. All luggage transfers are included. R2,650 per person over a weekend (including Friday and Saturday nights). R2,450 per person during the week (Sunday to Thursday night). Surcharge if there are less than four people: R300 per person (no less than two people). 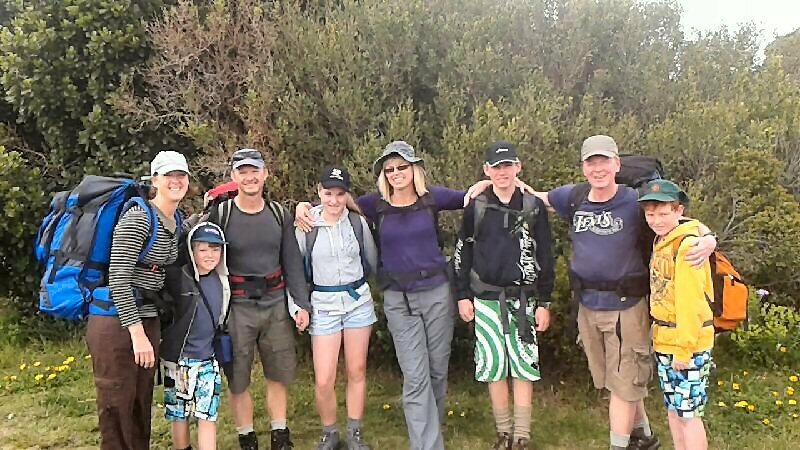 This option includes overnight accommodation at the fully equipped Fynbos Retreat and Witkrans, a complementary route map and narrative. 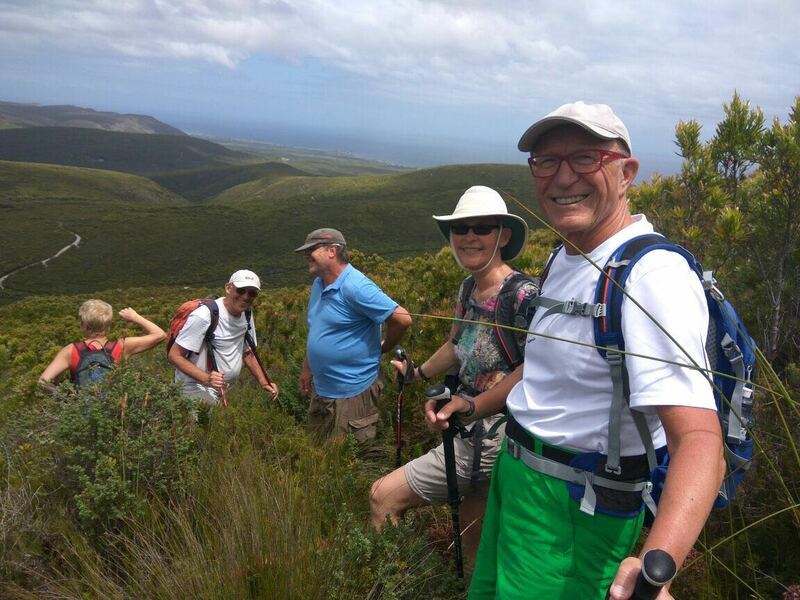 Please note that this is a circular route that takes hikers all the way back to the start at Steynsbos, making the final day a 10km route in total. 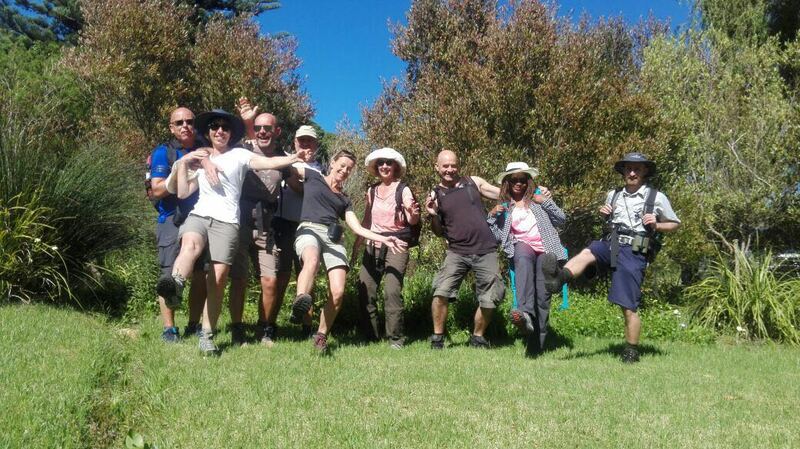 A hiking distance of nine km taking approximately four hours is added by walking this extra coastal route. 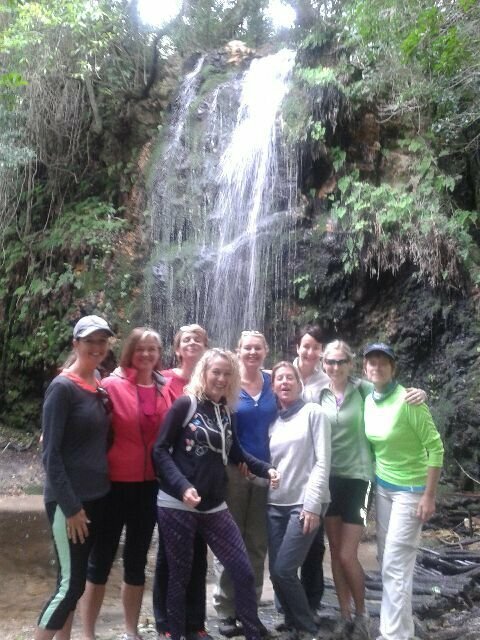 You set off from your guesthouse with a guide who will show you the De Kelders Drip Cave with its natural spring pool. A lovely walk along the beach back to the guesthouse will follow. 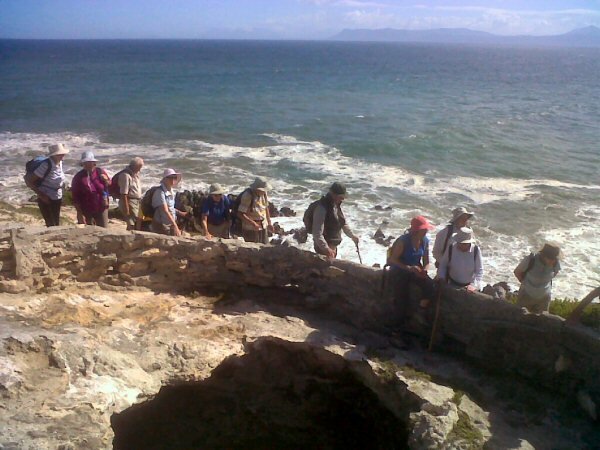 After a relaxing evening the route takes hikers along the Klipgat Trail which winds its way along the rocky De Kelders coastline. 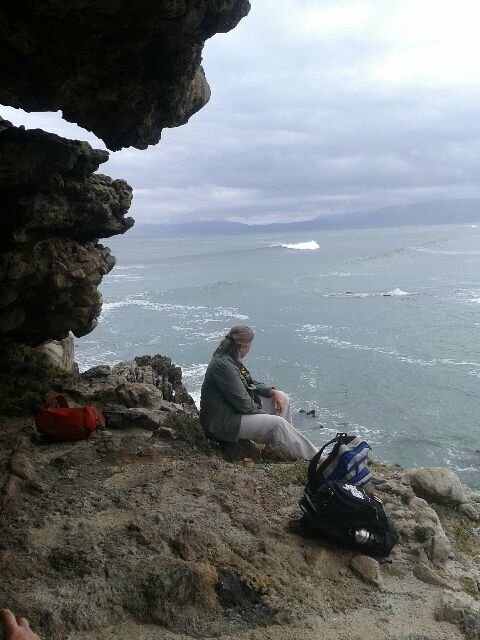 The coastal route includes Duiwelsgat and Klipgat caves where you will enjoy morning tea. 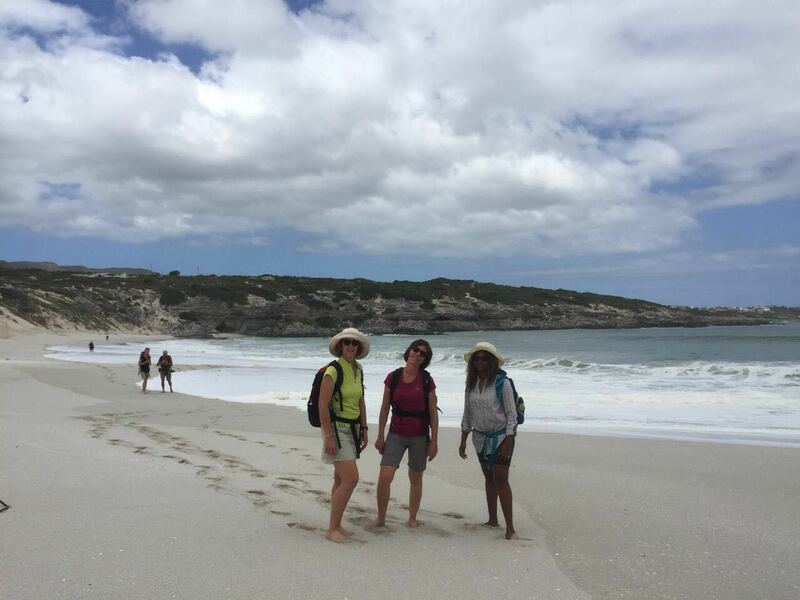 After continuing through the sand dunes at Die Plaat beach the trail will lead you to the main road where you will be transferred to Steynsbos for a picnic lunch. 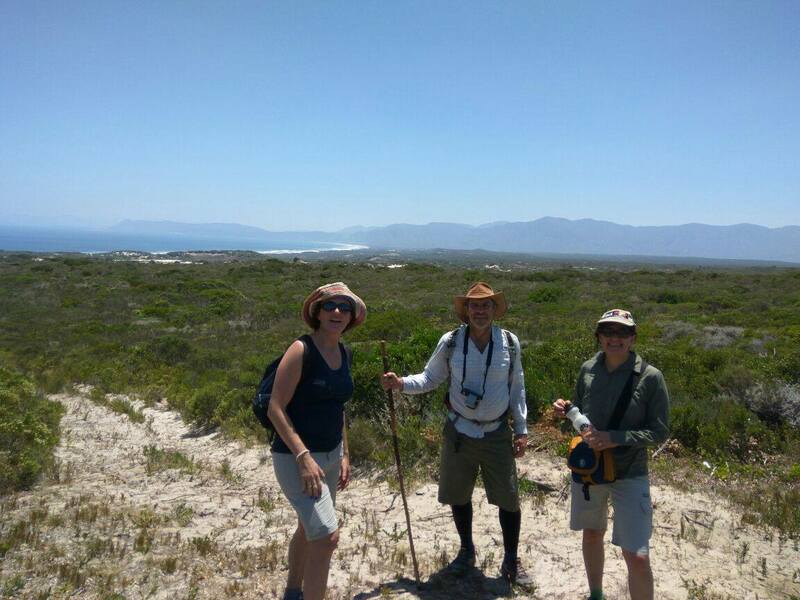 The extra coastal day cannot be done without a guide as it is very difficult to find your way through the unmarked dune fields and it is recommended you add this section of the route to the beginning of the trail. 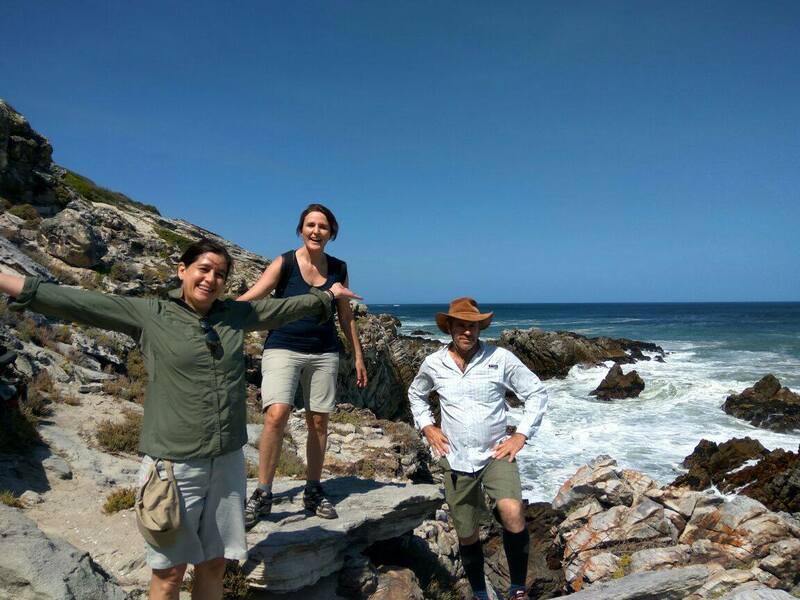 Overnight accommodation at a guesthouse in De Kelders (including dinner, breakfast, morning tea and lunch), the permit fees for your entry into Walker Bay Nature Reserve, your transfers to Growing the Future, luggage transfers and a tour guide.